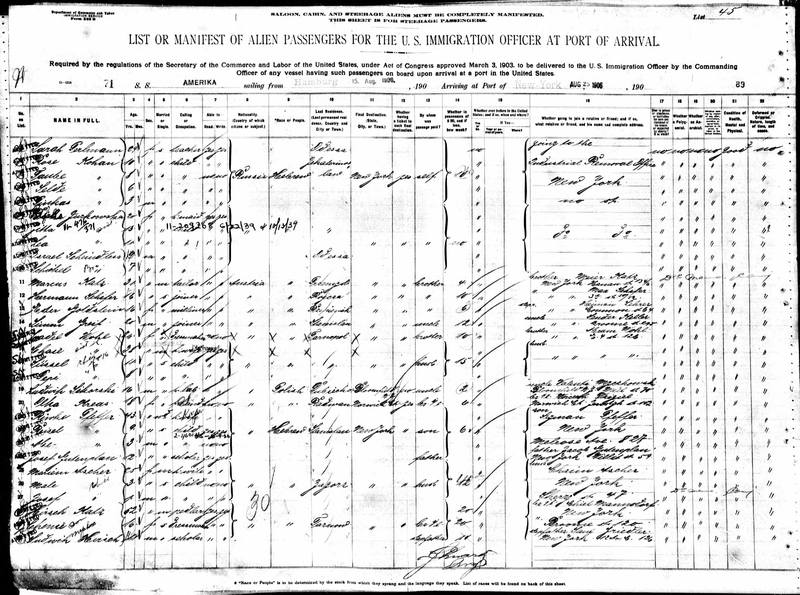 Searching the Ellis Island database for 1906 by the city name Odessa (http://stevemorse.org/ellis2/ellisgold.html), on one manifest there are three groups of people leaving from Hamburg on 15 August and going to the New York Industrial Removal Office. One of the groups is a teacher, Sarah Perlmann, from Odessa with four children from Ekaterinoslav, Rose Kogan and her siblings, a second group consists of a 20-year-old housemaid, Rivka Jurkowsky, and her 13 and 10-year-old siblings, and then there are two brothers, 9 and 7, from Odessa, Israel and Schiekel Scheindless, possibly sons of the couple, Mordko and Khaya, from Kherson,who were killed in Slobodka, and who may have had little extended family in the area. Scheindless (or Sheindles, Scheindlis, Scheindlass, Scheindels etc) was a rare name in Russia outside of the Sheindels in Vilna, and even less common in the United States where the name was soon changed to Shindle or Schindler. In the Yad Vashem Holocaust database, there are only two people with similar names, Sheindlis and Shendelis, from Odessa. This photograph is part of a database of 1,222 names of Jewish conscripts from Vilna gubernia (Vilna province), Photographs of Conscripts to the Russian Army, 1900-1914, Lithuanian Archives of Image and Sound and is part of the Jewishgen collection. This is another Israel Sheindels, possibly a relation of the Odessa family. There are many photographs like this, in public archives, on documents, which may or may not be known to the person’s descendants. Some photographs have been deliberately placed online, such as those on the Yad Vashem website, to remember those who died. Others, like the one above may be unknown. There is no photograph of the Israel from Odessa who may or may not have ever talked about his childhood, and this photograph of another Israel Sheindels, is a reminder that we cannot know what the orphan Israel looked like. The two may have been cousins. They may have had a certain look in common, but probably not. All of the group sponsored by the Industrial Removal Office, among many others, were detained at Ellis Island from 25 to 28 August as a possible LPC or ‘likely public charge’, people who might not have a sponsor or means of support. There must have been a tremendous fear of deportation as one entered Ellis Island and endlessly waited around to be inspected and re-inspected. From the website of the Industrial Removal Office records database, the office is described as: ‘created as part of the Jewish Agricultural Society to assimilate immigrants into American society, both economically and culturally. 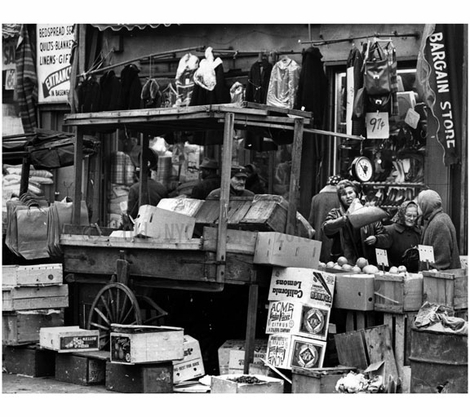 It worked to employ all Jewish immigrants.’ It was founded in 1901 and funded by the Baron de Hirsch fund in order to move Jews from the overcrowded cities of the east coast of America to smaller towns across the country, and give them training in a trade. There is no mention of the organisation actually bringing young orphans from Russia to the United States, but possibly this was especially arranged after the 1905 pogrom. Only one of the boys, Israel, turns up on the database of the Industrial Removal Office. Just the bare facts. 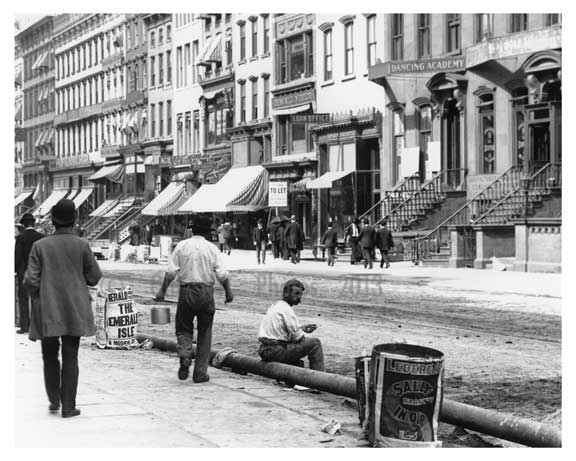 On 5 September 1906, a week after arriving in New York, Israel was sent to Pittston, Pennsylvania. In the 1906 online Jewish Encyclopaedia there is an entry for Wilkesbarre, Pennsylvania, where Jews had been settling from the 1830s. ‘The Jewish educational, philanthropic, and social activities of the city are entrusted to the following institutions: the religious and Hebrew schools, the Synagogue Industrial School, branch lodges of the leading Jewish orders, the Young Men’s Hebrew Association, the social and literary clubs, four aid societies, a free loan association, and the Executive Committee of Jewish Congregations (which aids the work of the Industrial Removal Office). With this equipment the community is an important center of Jewish activity in northeastern Pennsylvania, reaching out to Hazleton, Plymouth, Pittston, and the smaller towns in the vicinity. The Jews of Wilkesbarre now (1905) number about 1,800, or about 3 per cent of the total population. So this was the world that Israel found himself in towards the end of 1906. 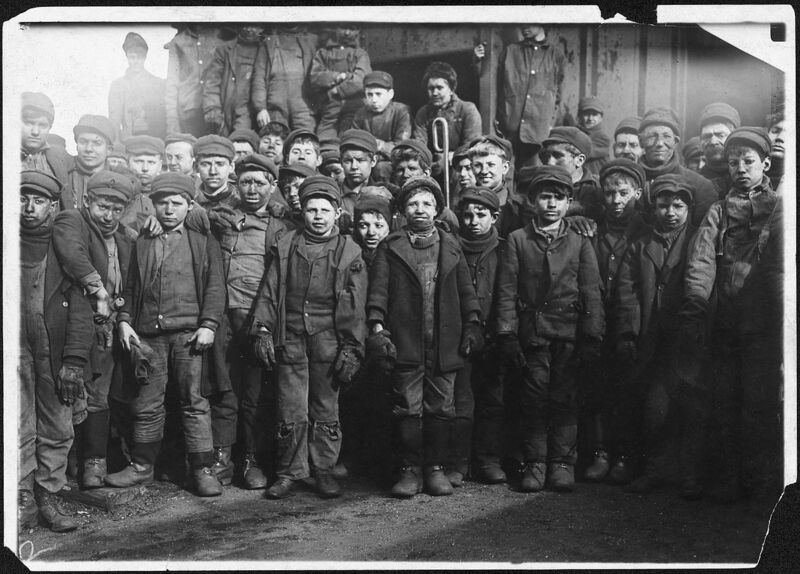 And he may have seen young boys his age coming home from the pits, like those below. The very brief record does not indicate whether, at the age of 9, Israel was simply fostered into a Jewish family or apprenticed to a tradesman. 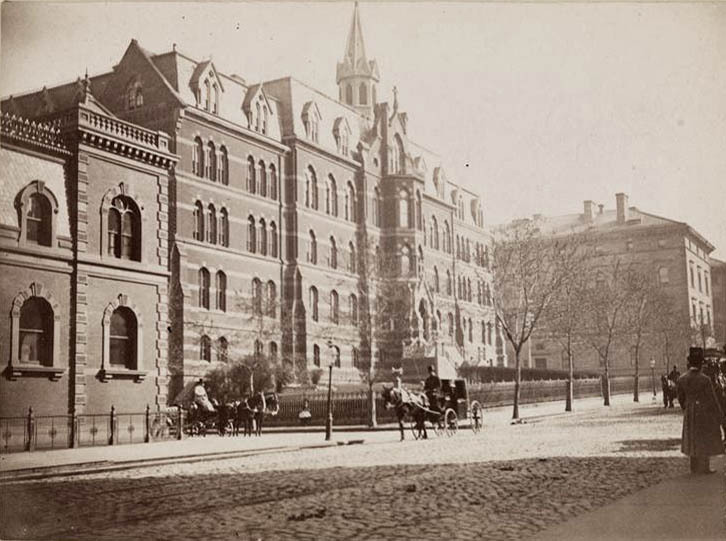 But, on 14 May 1907, eight months later, he entered the New York Hebrew Orphan Asylum with a note in the record that ‘no information came from Russia at the time of the massacres’. So he was an orphan of the massacres, and the son of Mordko and Khaya in Slobodka. His age is listed as 12 (he may have been 10) and his term at the orphanage was expected to end in May 1911. There is a column on the form for whether the child was ‘committed or surrendered’. Almost all the other children at the orphanage had been placed there because they had lost one parent and the other needed to work, or there were serious problems in the family such as illness, alcoholism or unemployment. Most of these children had the name and address of a parent and were committed to the care of the orphanage. Israel was surrendered. 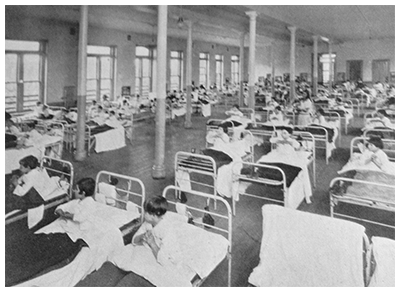 Two books have been written about experiences at the New York Hebrew Orphan Asylum during the depression years, An Orphan In New York City, Seymour Siegel (2000) and The Luckiest Orphans: A History of the Hebrew Orphan Asylum of New York, Hyman Bogen (1992), but no book has explored experiences from the early 1900s, especially after the great influx of Russian immigrants in 1905. Forgetting Fathers: Untold Stories from an Orphaned Past, David Marshall (2015), yet to be published, is a look into the unknown story of the author’s grandfather at Hebrew Orphan Asylum, possibly in the early 1900s. The people whose stories of the orphanage in the 1920s and 1930s appear in these books had very varied and mixed reactions to their experiences. Some prefer to tell a positive story of having had more opportunities for an education, sport, and getting outside New York City to summer camps than was possible for many children from New York’s Lower East Side. Others felt angry that their parents or parent had not been able to keep their family together although they understood the problems their parents had. Most were able to admit suffering from a lack of love, although many made friends for life. Women could be more perceptive about the problems and insecurities of creating a home and family themselves when they had no idea of what this really involved. The official history in the guide to the records of the Hebrew Orphan Asylum of the City of New York (http://findingaids.cjh.org/?pID=250011) gives some indication of trends at the early part of the 1900s. What could life have been like sleeping in an iron bed in a great hall with a hundred other children without even a locker for personal belongings, knowing you were one of the only ones without any parent, grandparent or other family to possibly eventually return to? By 1901 children were allowed to speak during activities, and letters were allowed to and from home. In stories of the orphanage in the 1920s and 1930s, letters and visits to and from family were a crucial lifeline, which must have been especially difficult for those with no family. The last document for Israel from the Hebrew Orphan Asylum was his discharge in 1912. It was a form designed for a parent or guardian to withdraw their child, with a place for their signature, none of which was possible in Israel’s case. 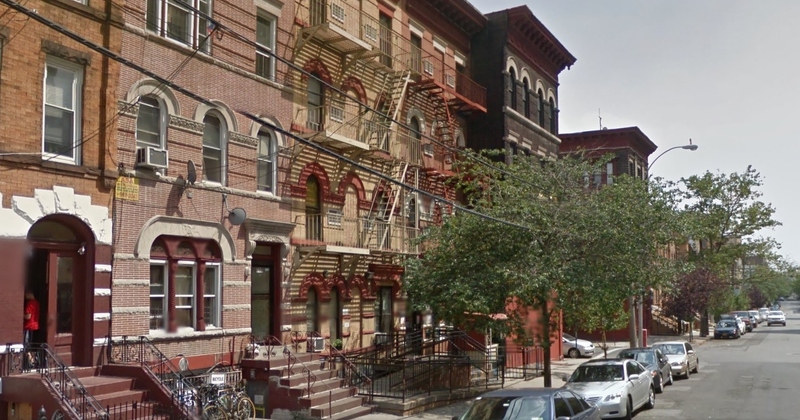 He had completed a trade school course in carpentry and had been boarded out with Mrs Eva Green at 948 Union Avenue in the Bronx with a job working for the property developers Bing & Bing. 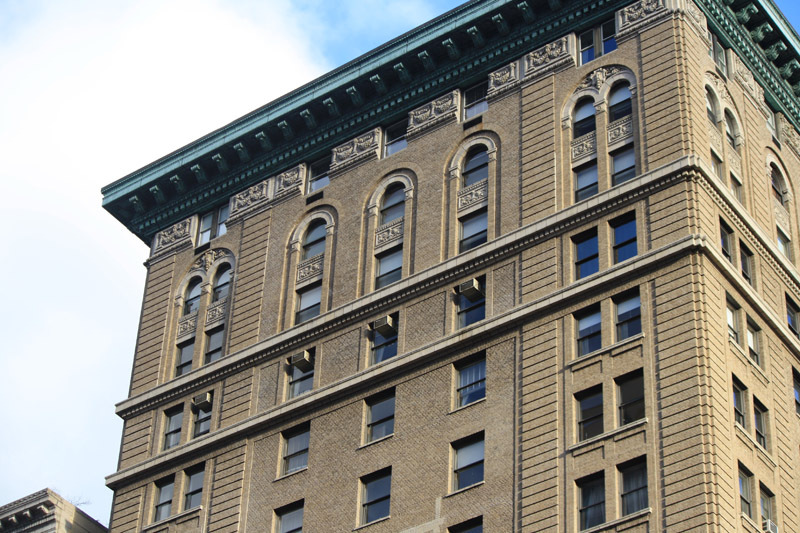 The brothers Leo and Alexander Bing were property developers who set up a company in 1906 and built some of the best pre-war Manhattan apartment buildings and hotels. Much later I discovered that Israel’s new life of independence, living outside the orphanage, working for a well-known property developer and construction company, did not last much more than a year. But at the time that I discovered the orphanage records all I could find about Israel after 1912 was an Israel Shindles, a baker from Russia, who was over 10 years older and living in Philadelphia in 1920. Even though Joseph does not appear in the orphanage records, both Israel and Joseph Scheindlass are listed in the 1910 census as inmates at the Hebrew Orphan Asylum, age 14 and 13 (although in 1906 they were 9 and 7). There are no more Scheindless’ or Scheindlass’ in the US records. 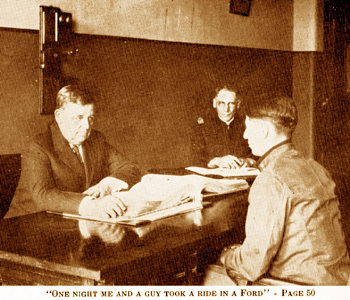 In the 1915 New York census I came upon a Joseph Schindle, age 18, an inmate at the New York State Reformatory in Elmira, New York. 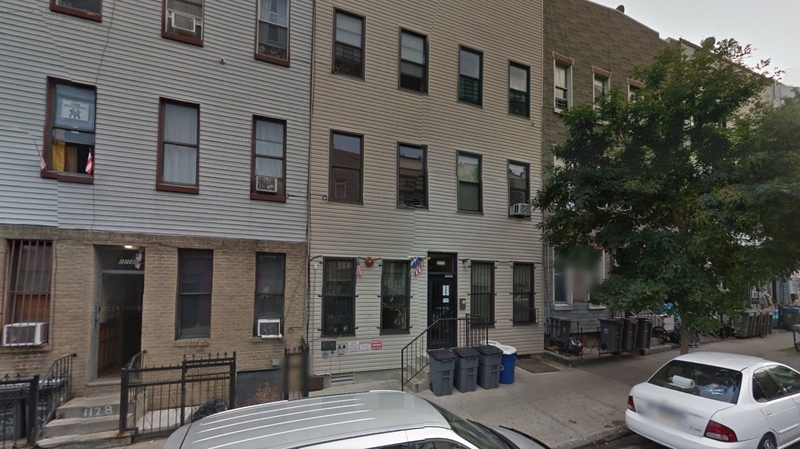 He was listed as a U.S. born cabinetmaker with a previous address of 1126 Willoughby Ave, Brooklyn. It may or may not have been Joseph. The Elmira reformatory, founded by Zebulon Reed Brockway in 1876, was the first in the United States and was set up for young men from 16-30 with an emphasis on discipline, education and training. There were several hours of military drill a day, trade school and night classes in general education. A few excerpts from the 1916 HAND BOOK of the New York State Reformatory At Elmira, Fred C. Allen (http://www.joycetice.com/booksc/1916ref3.htm) give an idea of how the reformatory was run. How the Prisoners are Boarded. The prisoners take their meals in dining rooms, to which they are assigned according to grade. The food supplied to the three grades, is uniform in quality, but the ration of the first grades admits of a somewhat greater variety than does that issued to the second and third grades. 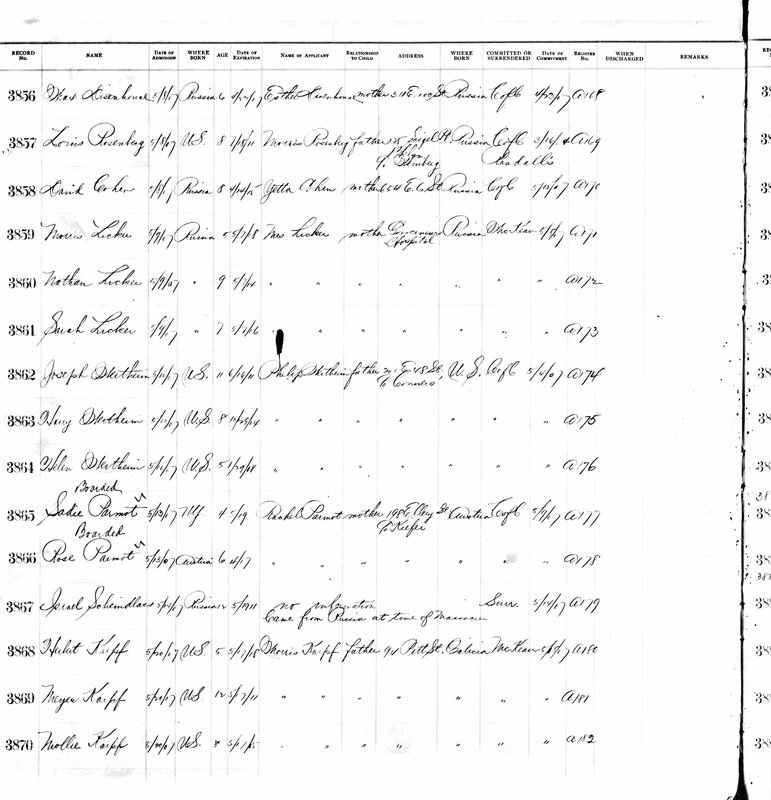 First grade prisoners who have been economical in their various expenditures, and have thus obtained a certain credit balance, showing a specific sum saved, occupy a separte dining room and are allowed a more extended dietary than their fellows, their accounts being duly debited with the cost of the additional items received. These prisoners are also permitted to converse while at table, another privilege not accorded to inmates using the other dining rooms. The Rooms of the Prisoners. The prisoners’ rooms are seven feet wide, eight feet long, and nine feet high, and each has its ventilator, opening at the roof of the institution. The walls are whitewashed and in each room is an iron bedstead, a wooden cupboard, table and chair, and an electric lamp. Closets and lavatories are at present installed in 176 of the rooms. During the morning hours, until about ten o’clock, a large number of the prisoners are occupied in cleaning the rooms and corridors, repairing buildings, apparatus, etc., while others, including all new arrivals, are being drilled in military exercises. There is also at this time, in the institutional gymnasium, a class in physical culture composed of prisoners thus assigned by the physician as being in especial need of gymnastic exercise and other treatment here given. A little after ten o’clock, general military exercises begin and these occupy the remainder of the morning are participated in by the major portion of the population. The prisoners dine at noon. The first part of the afternoon is devoted to the trades school, and there is also an afternoon physical culture class in the gymnasium. These sessions last until about half-past three; from there the prisoners pass directly to their various classes in the school of letters, and receive instruction until five o’clock, when their labors for the day are concluded. After a half-hour for supper, the prisoners retire to their rooms to rest, read or study, until their bed-time, at nine o’clock. The subjects taught in the school of letters are: arithmetic, bookkeeping, language, history, ethics, literature, civics, economics, and hygiene. The reformatory also had a farm, greenhouses and a recreation park. The 1916 Handbook ends with a long, detailed, idealised story, with photographs, of a fictional boy called Peter Luckey who is sent to the reformatory for stealing. Joseph Schindle may not have been Joseph Scheindless except that there does not appear to be another Joseph Schindle born at that time from Russia or Brooklyn in the records, and Joseph Scheindless, who later probably became Joseph Schindler, from Odessa, did live most of his life in Brooklyn. Strangely, on the 1915 census, at the address 1126 Willoughby Avenue, a house with 7 families, there was a Schindler family with a 19-year-old son named Joseph. 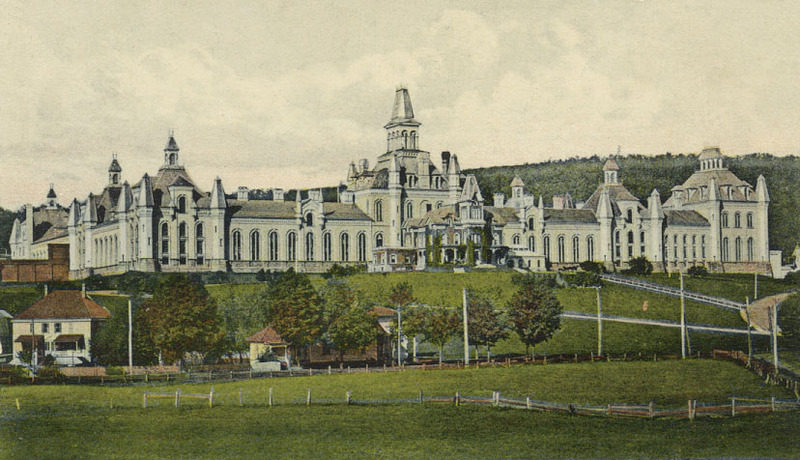 The life and routine at Elmira was quite similar to that at the Hebrew Orphan Asylum so it is understandable that a child who may have spent his childhood from the age of seven at the orphanage, might have found it quite difficult as a teenager to move into the outside world boarding with a couple or family, and may have needed a few more years of strict, institutional life. Israel may also have had trouble adjusting to the outside world, as, in 1913, he joined the army when he was only 16, claiming to be 19 and born in the US. He had changed his name to Isidore Schiendles, Israel probably not being a helpful name in the army. Joseph may also have claimed to have been born in the US and older than he was, if he was thinking of joining the army. There is no World War I registration card for Joseph online so he may have still been in the reformatory in 1917 or he may have joined the army. Israel’s army record and death certificate are online. He fought overseas from 1917 to 1918. When he died in 1963 in Philadelphia, he was buried in a veterans’ cemetery and the form shows that after his discharge from the Army he changed his name again to Sidney Schindler. It is clear from his death certificate that his son did not know the town where his father was born or the names of his father’s parents. It is also clear that being a veteran of World War I was very important to Israel and, however traumatic it may have been, his experiences may have cemented his identity as American and helped him to create a story other than that of an immigrant and orphan of the Odessa pogrom. Another person who came up in the records while searching for Israel, was an Israel Shindles, a Russian born baker in Philadelphia, who was over 10 years older than Israel Scheindless. Israel/Sidney also became a baker and it seemed a possibility that he had moved to Philadelphia, where he is living on the 1930 census, because he knew the other Israel. The other Israel is also similar in age to the young boy in the photograph who joined the army in Vilna in 1903. 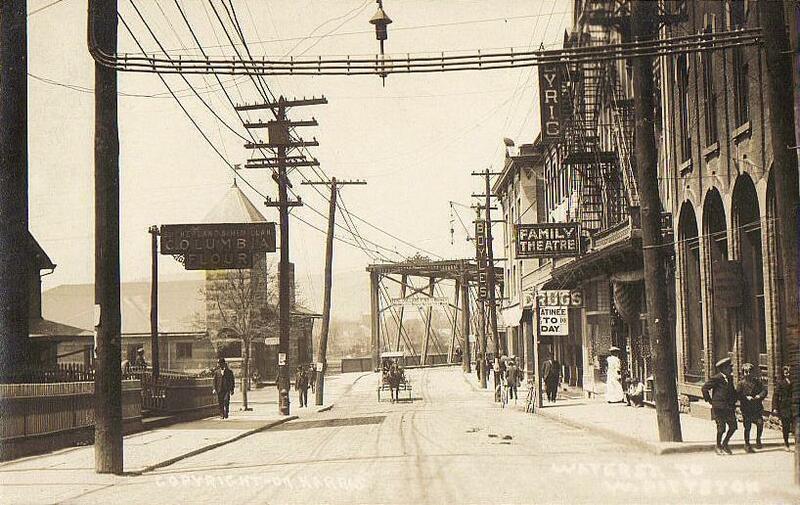 Israel/Sidney is not on the 1920 census when he first left the army, but Joseph does appear in Philadelphia as a boarder with a Russian family, working as a machinist, on the same street, West Moyamensing Avenue, as the older Israel. 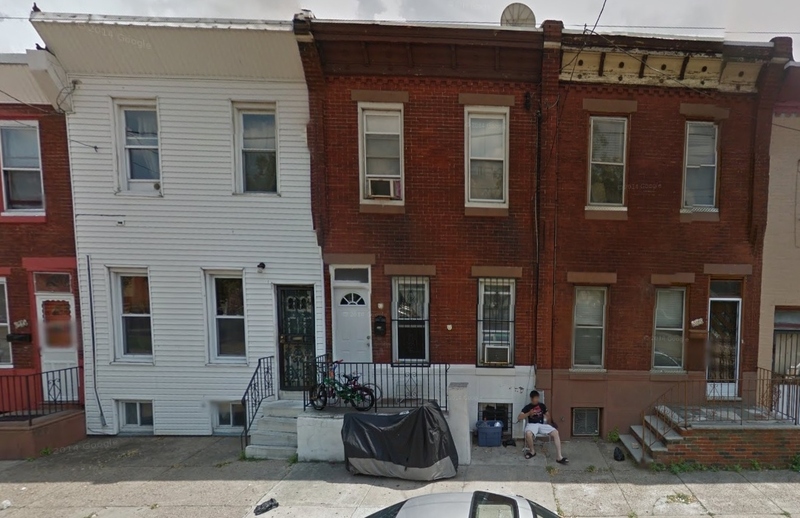 Joseph married in Philadelphia but then moved back to Brooklyn by 1930, not too far from Willoughby Avenue. Joseph and Israel both named their eldest son Morton after their father, Mordko. Whatever they may or may not have told their families about their pasts, whatever stories they may have woven, they would have been reminded and wanted to be reminded of their father every day. And although, on the censuses, Joseph kept pushing his date of immigration back in time, first 1904 and then 1900, possibly trying to prove to himself or others that he had been too young to remember Russia, on the one census when he was asked what city he was from, he did say Odessa. My eldest aunt, born in 1901, 5 years old when she left Odessa in 1906, changed her birth date to 1903, and told her family she was too young to remember Russia. She never said where she had been born or had lived as a child. Israel, on the other hand, wrote his immigration year correctly as 1906 on the 1930 census, although to join the army he must have claimed to have been born in the US as, on his World War II registration, his birthplace is listed as Hartford, Connecticut. Why Hartford? Had he also been fostered out there at some point? One wonders how the two brothers were affected by the pogrom, the death of their parents and being uprooted from their home and country and taken to an orphanage in New York. Were they remote and silent like many men at that time, or quick to anger so that family felt they were walking on egg shells, or did they develop a lively, outgoing personality, in order to divert conversations from any mention of the past? Were they stern disciplinarians or easy-going and tolerant? Did they believe that their children needed the strict discipline they had had in the orphanage or did they want the opposite for their family? By 1940, both brothers had been married for nearly 20 years and Israel had 7 children while Joseph had 4. And how did the children feel? Possibly each one felt differently, depending on whether they knew anything or nothing of their father’s past, whether they sensed sadness, loss or simply the mystery of an unknown past. Research on second-generation Holocaust survivors has found that different children in a family have very different experiences, one child possibly feeling the parent’ s emotions more acutely and feeling more uncomfortable talking about the past, while another child may feel less emotionally affected and be more curious about the parent’s possibly untold story. The Schindler children may have felt the past was best forgotten, or may have been curious to understand why their father had been who he was. They may have felt confused and rootless without a past. They may not have cared. They may have been angry or disappointed not to have family stories or sympathetic, knowing that things had not been easy for their parents. But could I have the wrong people? Did Israel and Joseph actually remain as carpenter and cabinetmaker or did Israel become a baker by working with a relation in Philadelphia, and did Joseph become a machinist and ironworker because he had learned the trade at the reformatory? Because Sidney Schindler had spelled his previous name as Schiendles on his World War I enlistment, and Joseph admitted to being from Odessa on the 1930 census, these are probably the children of Mordko and Khaya, from Slobodka. 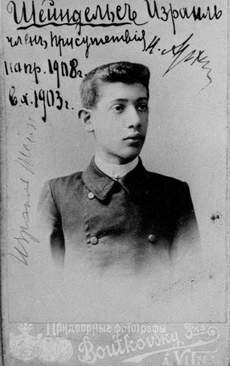 There was one other Scheindlis on the Hamburg ships’ manifests, a Moses Scheindlis, age 18, a locksmith from Odessa, travelling in October 1906, two months after Israel and Joseph. He may have been an elder brother, who had not been in a position to look after his younger brothers. Unfortunately I could not find him in any other records, trying endless possible name changes, so I do not know if he was able to help the younger children in any way. Most people want to tell a hero story, a story of success and happiness, which is why pogrom stories were not told. The pogrom deaths were not success stories. There was a success in the survival and moving on of the families of those who died, but this success rested on so much pain and grief that they were not tellable stories. But now, a century after the pogrom, it seems to be time to tell the stories of those who died and the children and grandchildren who moved on, carrying the ghosts of the past with them.